In four years, Wright-Patt Credit Union has introduced 30 personal teller machines and expanded into a new market. The popularity of personal teller machines (PTMs), which offer a blended experience between the quick access to accounts ATMs provide and the face-to-face interaction of an in-branch teller, is on the rise at U.S. financial institutions. 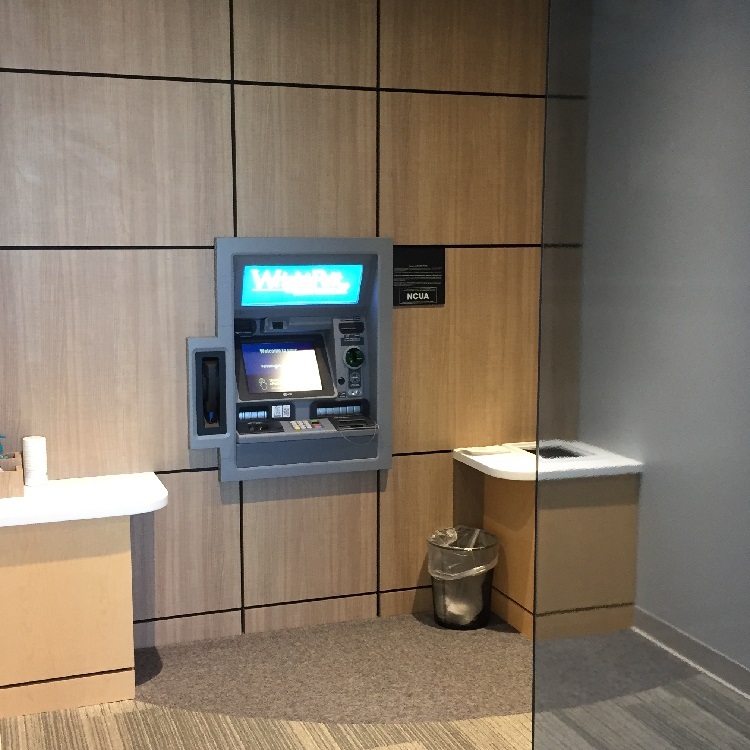 Also known as interactive teller machines (ITMs) or virtual teller machines (VTMs), credit unions such as Coastal FCU, Suncoast, and GTE Financial — among many others — have already implemented this virtual technology at numerous branches across the country. Launching a virtual teller experience at your credit union? Check out these tips and best practices from credit unions in the know. Only on CreditUnions.com. Given that approximately half of all Americans still visit branches to fulfill their daily financial needs, it doesn’t appear the interest in this teller technology will be waning anytime soon. So how can credit unions help members make the transition from pneumatic tube drive-ins and branch tellers to electronic financial transactions as seamless as possible? Wright-Patt Credit Union ($3.6B, Beavercreek, OH) provides in-person tutorials and a concierge desk to help members with their first PTM experience. At Wright-Patt, what began as a 19-machine investment four years ago has expanded to 39 machines at hybrid and PTM-only locations, and the Ohio credit union has more than a few best practices for how credit unions should integrate these machines into their field of membership. The people who bring the technology to life at Wright-Patt are the staffers who introduce members to the machines and those the members see inside the box. Wright-Patt’s 39 personal teller machines handle up to 50,000 transactions every month, approximately 10% of the credit union’s total transactional volume. For its Columbus, OH, locations — where the Dayton-based credit union is expanding — Wright-Patt offers five locations that are exclusively PTM branches. Across its entire branch network, the credit union uses PTMs in 30% of its standalone locations, which Zimmer calls “lobby” locations. Read more about Wright-Patt’s PTM strategies in "Go East, Wright-Patt." Wright-Patt initially implemented PTMs at its older locations that had pneumatic tubes in the drive-thru, Zimmer says, and member acceptance has been great at these locations. PTMs are attracting all sorts of people from different generations. “We’ve had across-the-board adoption,” Zimmer confirms. That might be due to the fact the benefits are universally appealing. For example, the most important facet of PTMs for Wright-Patt, according to Zimmer, is the personalized service and reduced wait time the machines offer. Ultimately, in Wright-Patt’s strategy, PTMs are just another delivery channel that helps all members further their financial goals. Sign up for Callahan's Media Suite to gain enterprisewide access to articles filled with ideas, tips, and best practices to improve your credit union' branching strategy. A common worry among members is that the machines replace teller positions, but that isn’t the case at Wright-Patt. Instead of replacing in-person teller jobs, Wright-Patt has transformed them. All those tellers that previously sat behind the counter at the branch? They are now behind the camera at the call center. How you introduce the technology is key. The people that bring PTMs to life are the ones who have the impact on members. To battle the misconception that PTMs are complicated, confusing, or just not user friendly, Wright-Patt has dedicated associates to help those members who are hesitant to try the new technology. Employees who staff the Wright-Patt “concierge desk” at branches offer assistance for first-time PTM users. 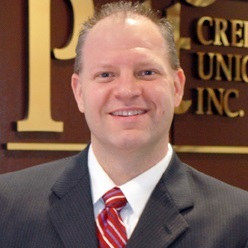 PTMs have allowed the credit union to increase efficiency and streamline its business. Routine transactions routed through the machines not only keep transaction times down, they free up time for branch staff to handle other operations, such as loan applications and account opening and closing. PTMs also allow for more flexibility among staff. Because tellers aren’t bound to a physical branch location, they can serve multiple locations at once without having to physically move to that location. “I can have tellers where I need them, when I need them,” Zimmer says.